TNAG GYMNASTS STRIKE SUCCESS ON THE BIGGEST STAGE BRITISH CHAMPIONSHIPS 2019, 14-17TH MARCH, LIVERPOOL The British Gymnastics Championships have been held at the Echo Arena (now renamed the M&S Bank Arena) for several years and it really does provide a fitting and fantastic venue for the biggest event in the domestic gymnastics calendar. 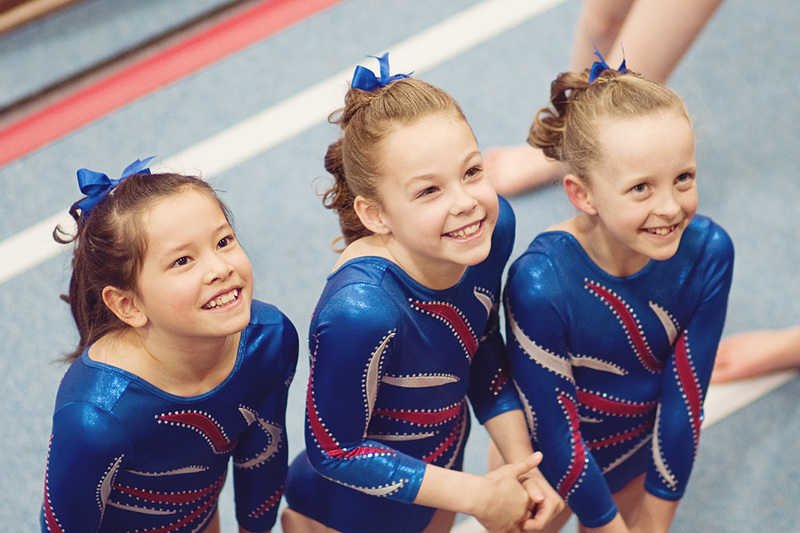 In our eleventh year we were extremely proud to take our biggest ever squad of gymnasts to the event, with four girls competing over the course of the weekend, across all three different age categories. 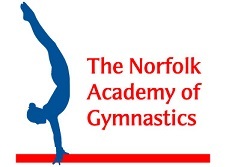 Every gymnast that qualifies for the British Championships has already undergone a rigorous test to achieve that qualification and to earn the right to take part in such an event is a huge achievement in itself. Alina Ciausu was the club’s youngest participant this time around, aged only 11 and having qualified for the championships only a few weeks prior, at the national Compulsory One event. Taking part in the Espoir competition Alina participated as a guest, as she has not yet been able to gain British citizenship. The Espoir gymnasts have a tough task going out on the opening day without any podium training so with little time to adjust to the arena and equipment. Alina suffered a fall on her opening event, the beam, a piece where she is usually very solid but once the nerves were set aside she put in great performances on the other pieces; a super clean floor routine (12.55), flighty vaults performed with ease (12.90) and finishing with a precise and technically proficient basic bar routine (11.55). Alina’s overall total of 48.40 gave her an unofficial ranking of ninth. 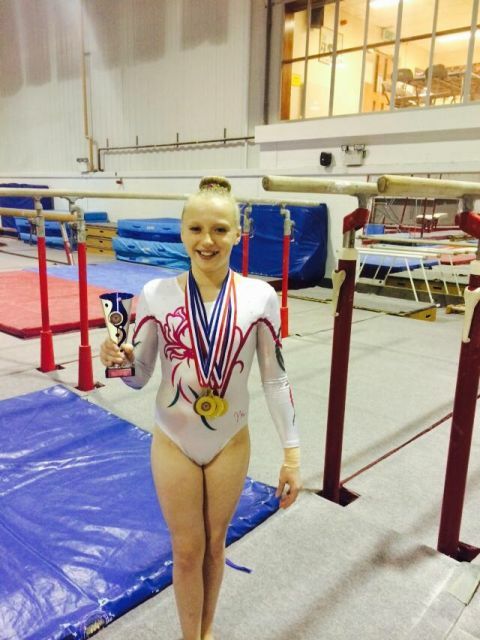 She also qualified to the apparatus finals on both bars and floor. To finish in the top ten in the country in her first British championships, and second of all of the first year espoirs competing is a fantastic achievement in itself but made even more so given that Alina sustained a knee injury in podium training for the English championships only two weeks before this event which severely hampered her preparation for this competition and, indeed, putting her participation in serious doubt. With the rest of the year to spend building difficulty and with a hopefully smoother lead up period in 2020, Alina should be fighting for the medals next time around. 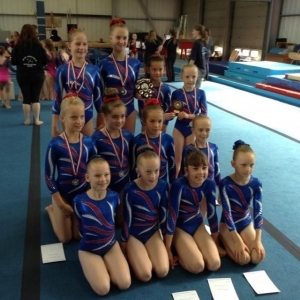 It was the turn of the junior gymnasts to take to the floor on Friday With Lily Tranfield and Annie Young competing for TNAG. As a first year junior and making her third appearance in a British championships, Lily competed here on only vault and floor thus wasn’t eligible for an all around ranking. Having faced a string of injuries which meant Lily wasn’t able to put in a sustained period of preparation to get her difficulty or performance levels to where she would ideally have wanted them. Lily has a strong competitive nature though and performed her floor routine very cleanly, blending solid acrobatics with artistic presentation for 11.65. Lily’s planned first vault didn’t go to plan but she bounced back with a strong second vault here. Lily has the ability to move forwards from this point and add to her difficulty and execution levels, if she is able to put in the day in, day out consistent training which is such a key ingredient of success at this level. Annie Young was the one of the TNAG quarter with genuine medal potential, having been a British squad member for the last couple of years and having competed several times internationally and is now a seasoned competitor, this being her fourth British Championships and second time on the podium in Liverpool. 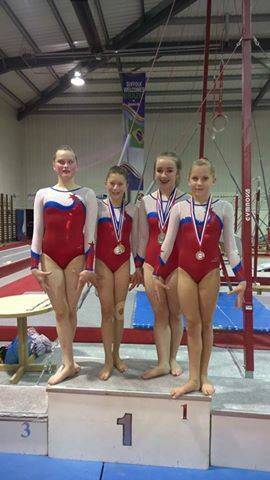 However, getting into the medals was never going to be easy as the standard of competition amongst the very top contenders was extremely high, with each gymnast having their own strengths. Annie was not given an easy draw by the organisers, being the first gymnast up on beam in the first rotation. It’s easy to see why so much preparation and repetition is required on this event when you witness the emotions that Annie had to harness in order to get through that opening routine cleanly. She achieved the main aim, to stay on the beam although she did have a few significant wobbles which were costly to her score (12.20). To hit the routine under such extreme pressure shows how far Annie has come on this piece, but she knows that there is still more work to be done here. Annie moved to floor where she went cleanly through her entertaining routine, with just a couple of small errors on landings and spins, to score 12.60. This put Annie in touching distance of the top places at the half way point, but knowing she would need high scoring routines on her last two events to break into the medals. Luckily two of Annie’s best pieces remained and now was the moment to debut her new vault which she has been working on for a considerable time – Annie rose to the challenge and hit her one and a half twisting Yurchenko for 13.75. She finished on bars, traditionally her strongest event. With several very high all around totals being posted by some of Annie’s competitors, the pressure was on Annie once again. She was confident in her routine, in part due to some much more solid and consistent training on this event in recent weeks and she was able to deliver one of the highest quality bar routines she has ever done in competition to post the highest bars score of the day; a massive 13.95. This gave Annie a personal best total (even removing some of the specific British bonuses awarded at these events) of 52.45 and saw her place second overall (separated from the third placed gymnast only on a count-back tie-breaker) to once again take an overall British silver medal. 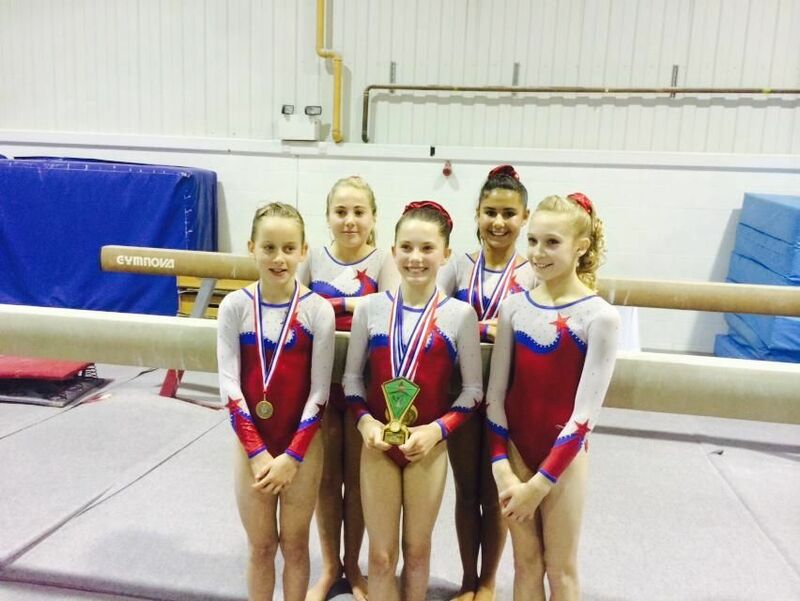 Annie also qualified for the apparatus finals on vault, bars and floor. Saturday is senior day at these championships where Laura Cooke was unlucky to be drawn in the first round, meaning an early start for her. In her third and likely to be final British championships, at least for now, Laura had had the least ideal preparation imaginable for this competition. She has been suffering from a severe and debilitating back injury which has meant she has barely been able to train for several weeks leading up to this event. Laura knew that this meant she was at risk of not being able to show her best work, but she was determined to take part even so. Laura did not have her best competition with a couple of errors on the first two events, beam and floor but did come back strongly in the second part of her competition with two well landed vaults averaging 12.7 which saw her advance to Sunday’s vault final and a clean bar routine scoring 11.45. Laura’s total of 45.3 is not a fitting reflection of her ability, but her determination in getting safely through the event is an example to all. 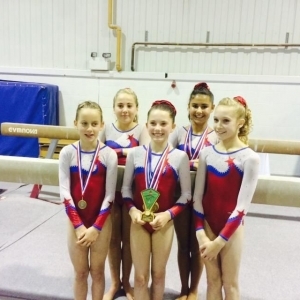 It was fantastic to have three of the TNAG girls returning to the arena for the apparatus finals on the Sunday, the final day of the championships. In the Espoir finals Alina hit an excellent floor routine with clean landings and great leaps and seemed a little harshly dealt with in scoring 12.40. She unfortunately was not quite able to recreate the precision on bars which she had shown a few days previously which kept her score down here, but she will have gained a great deal from the finals experience and a second outing on the podium. In the junior finals, Annie had a busy day competing on three apparatus. There was a significant element of pressure again for Annie coming in as the top qualifier on vault and bars and therefore performing last. Making good tactical use of the warm up gym, Annie stayed focus to hit all of her pieces once again. Whilst her 1 ½ twisting Yurchenko was slightly under-rotated she stayed on her feet and that, combined with her clean full twist, was enough to earn her the gold medal here. This is Annie’s second individual British title and in winning it demonstrated that her strengths go well beyond just the bars. On those asymmetric bars Annie showed true grit and fight to hang on to a release and catch caught on the very tips of her fingers. The execution across the routine wasn’t quite as good as it had been two days before, but the score was still extremely high at 13.95 which gave her the silver medal – the top two gymnasts some distance clear of the field here. Annie saved one of her most enjoyable performances until the end – performing with no pressure as the seventh gymnast into the floor finals, she hit a much cleaner routine than in the all-around and was rewarded with one of her top scores here of 13.00. This eventually placed her fifth in a very entertaining and high quality final. 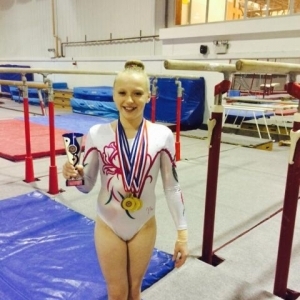 The BBC broadcast the senior apparatus finals which meant Laura was covered in full on national television – a great honour and one that added slightly to her nerves on the day. The senior gymnasts have to perform without a touch warm up in the arena which brings a new level of challenge to the competition. Competing second up, Laura dealt with this very well and hit her full twisting Yurchenko and her pike Tsukahara cleanly to improve slightly on her qualifying score with a 12.75 average, placing her sixth. 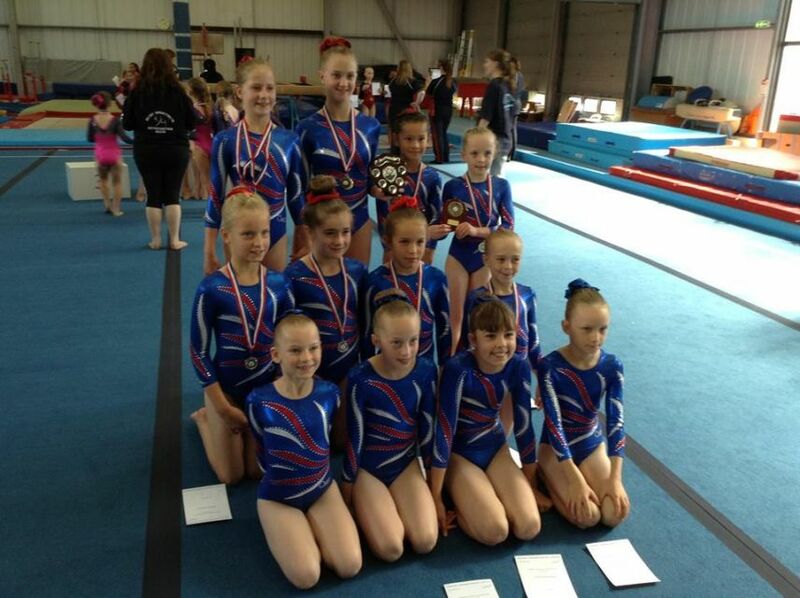 Congratulations to all of the gymnasts who represented the club so well at this superb event. 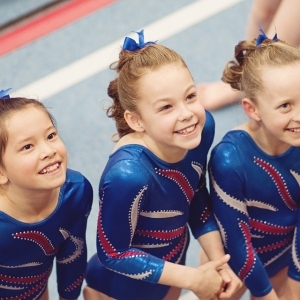 They provide inspiration to all of the gymnasts throughout the club as to what can be achieved with commitment, desire, effort and hard work.